This is an A4 sized piece of lightweight vegetable tanned leather, free from dye and grease and 1.2 - 1.5mm thick. 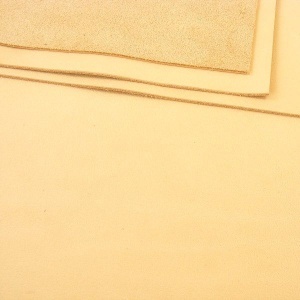 It's quite lightweight for a tooling leather, great for embossing and dyeing, but if you want to carve, we'd recommend that you choose a heavier weight veg tan leather. 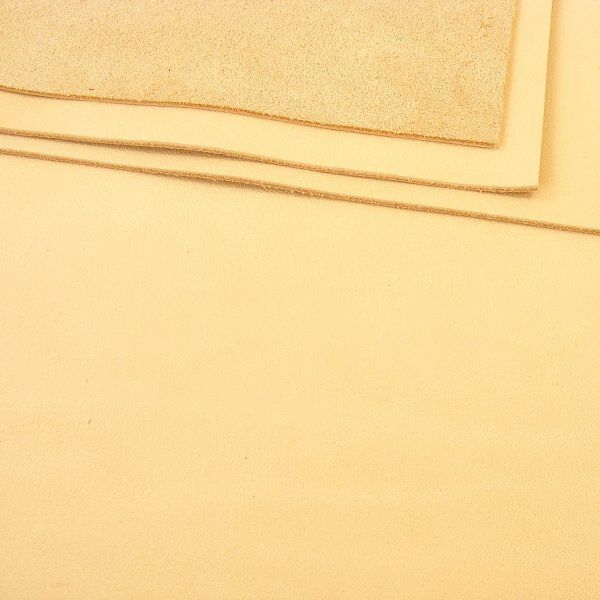 *As veg tan tooling leather is so pale in colour and has no surface finish, it's important to have clean hands and tools when working with it, so it doesn't pick up unwanted marks. 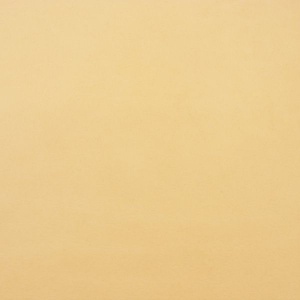 Once you have finished your decoration, the surface can then be finished with Fiebings Resoline or Tan Kote, to give it a protective outer coating.